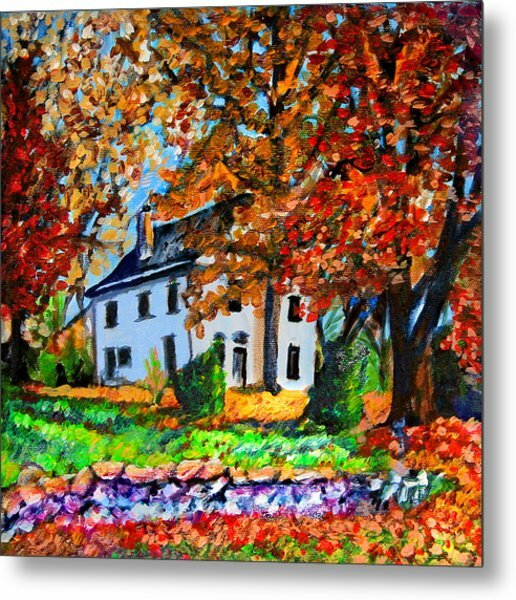 Autumn Farmhouse is a painting by Laura Heggestad which was uploaded on January 15th, 2010. 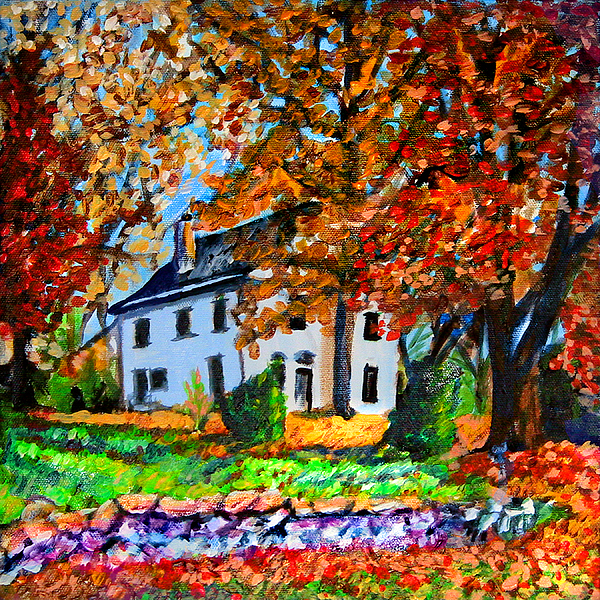 This is one of the paintings where I can express my enthusiasm for autumn's gorgeous colors. An old-style, two-storey farmhouse stands surrounded by nature's brilliance. The paint application is a moderate-depth impasto. 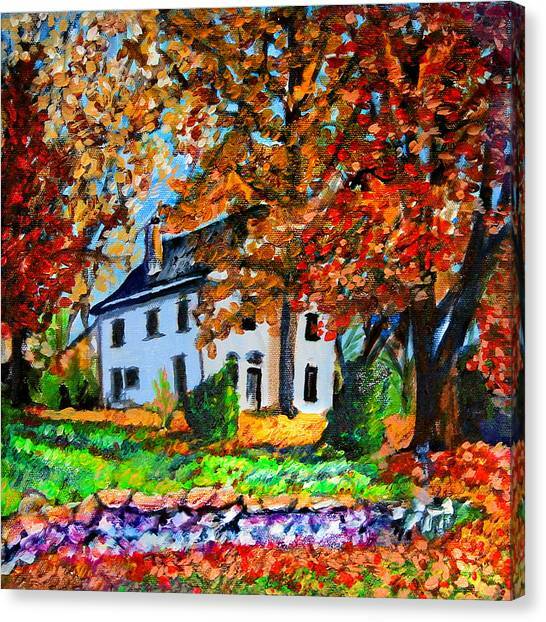 This painting, for me, expresses the moment in the autumn when you just have to step outside or pull your car onto the side of the road and get out to breathe the crisp air, look around, and say, "Wow." 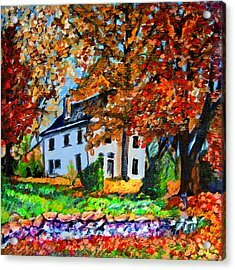 As I mention in my profile, I can paint similar reproductions of this (or any of my artworks) which are no longer available for sale. I agree with Natalie. 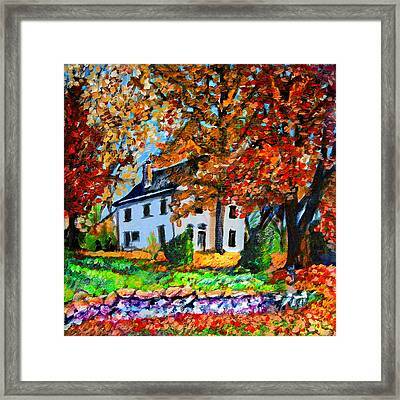 The house is protected by autumn's beauty. I can't imagine the people living there being nothing but peaceful and joyful Laura, you really did an excellent job at transfering this gorgeous scene! Bravo and thank you for your wonderful words regarding my "Out of time" pieces! I am grateful!!! 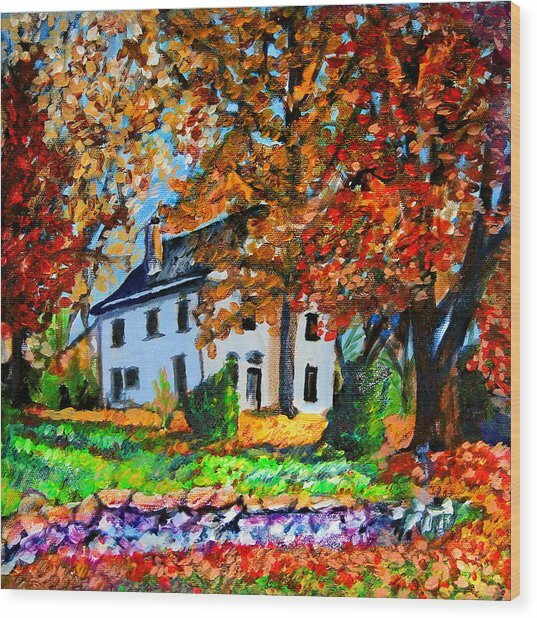 I love Autumn and this beautiful painting makes me want to be there and stay! I just love it! Thank you, Laura for all your kind words on my art! I love your use of colors. Keep doing your talented art.